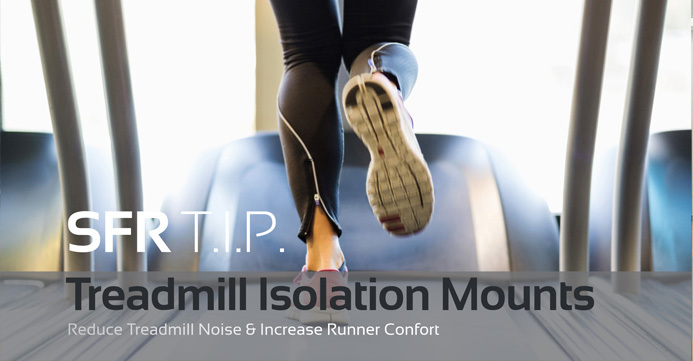 SFR T.I.P (Treadmill Isolation Mounts) control is a flat, resilient underlayment used directly under all floor finishes, yielding exceptional results even under hard surface flooring and over concrete and wood joist construction. SFR T.I.P. are 2” thick layered isolation pads made from superior shock damping materials. By combining ultra high performance elastomers with bearing plates, outstanding isolation values are achieved for the most problematic equipment. SFR T.I.P. are inherently non-slip. The pads are sold by the set and a set consists of 2 front and 2 rear pads. For other special applications please consult us. SFR T.I.P. High Isolation efficiencies, Greater runner comfort, Reduces or eliminates noise transfer to other areas in the building. Front not to exceed 450 lbs. ea. Rear not to exceed 175 lbs. ea. 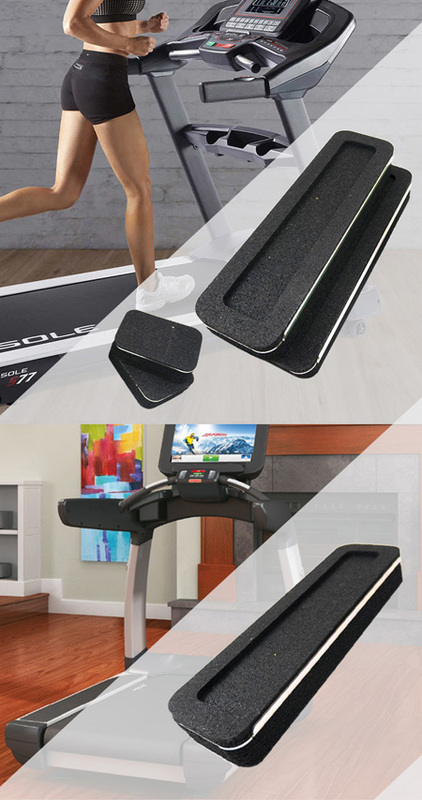 Place one Pad under each of the four treadmill feet. the floor under the treadmill should be clean and free of debris and all machine cords should have some free play. Ensure the front pads are installed in the front and rear pads are installed at the back of the unit. Lift the equipment according to the manufacturer’s specifications and use proper safety procedures. 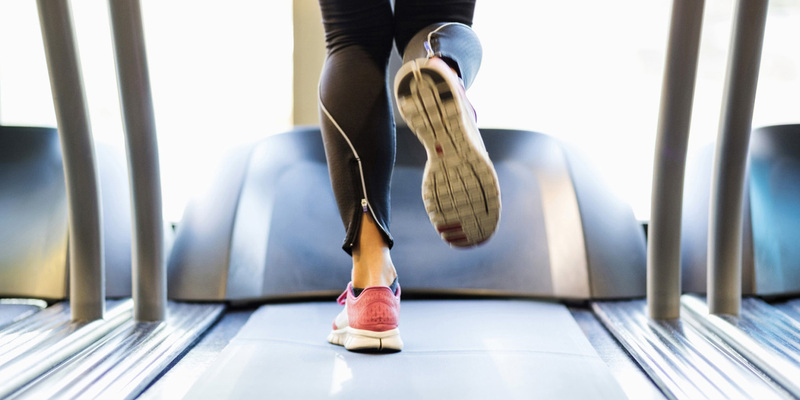 Lower the treadmill into place and ensure that the foot is centered on the mounts. Please note that even deflection occurred.